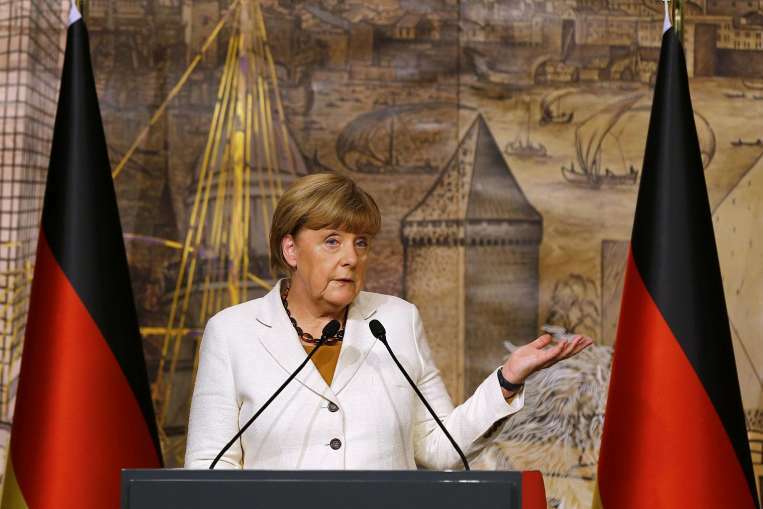 German Chancellor Merkel to visit Turkey next week. German Chancellor Angela Merkel will travel to Ankara next week for talks with Turkey’s prime minister, her spokesman said today, as she seeks to cut the flow of refugees into the EU. Merkel will meet with Prime Minister Ahmet Davutoglu on Monday to discuss “the further implementation of the EU-Turkey action plan” agreed in November to reduce the number of asylum seekers arriving in the bloc. They will discuss aspects of the plan that have not yet been implemented and “how we can make progress on reducing illegal migration and replacing it with legal migration,” spokesman Steffen Seibert said. He said Berlin was still particularly concerned about the rampant people smuggling off the Turkish coast where dozens of refugees have drowned in recent weeks. It will be the second bilateral meeting between Merkel and Davutoglu in a month, after talks in Berlin on January 22 where the two leaders signed an agreement to “do everything to reduce the number of refugees” crossing into the EU. Under the November deal, Ankara had agreed to lower the number of migrants coming through, but between 2,000 and 3,000 people are still arriving daily in Greece from Turkey. The EU on Wednesday finally reached agreement on how to finance a three-billion-euro (USD 3.3-billion) deal to aid Syrian refugees in Turkey, in exchange for Ankara’s help stemming the flow of migrants. Germany is making the biggest contribution with 427 million euros, followed by Britain with 327 million and France with 309 million, EU sources said. Merkel has come under massive political pressure to set a refugee quota, but has so far resisted despite the arrival of nearly 1.1 million asylum seekers arrived in Germany in 2015.